5. conditions (of the borrower and the overall economy). It's kind of hard to imagine any business applying for a substantial, long-term loan ticking all those boxes right now, don't you think? 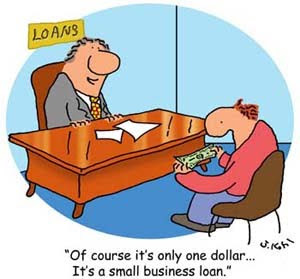 Which is why I am not surprised by the recent ECB and Irish Central Bank statistics showing a further contraction in lending in Ireland - including commercial lending. Most small businesses are in survival mode rather than expansion mode. Worse, the interest rates being charged by banks are massive when a) adjusted for deflation and b) set against the likely prospects for revenue growth sufficient to fund loan repayments (including interest) over time. And not just in Ireland, even the United States with its near-zero interest rates is seeing an implosion in its SME sector. Hence promises by the Minister for Finance to issue guidelines to the banks rescued by NAMA to ensure they expand their lending to Irish businesses are like pushing on string. They won't make a blind bit of difference until businesses (and banks) think it sane and sensible to borrow money to fund expansion. And that' won't happen any time soon if we are to go by the EIU's recent global survey of SMEs: Surviving the Drought - Access to Finance among Small & Medium Sized Enterprises. The survey asked 'when do you expect the availability of finance to return to 2007 levels in your domestic market?' 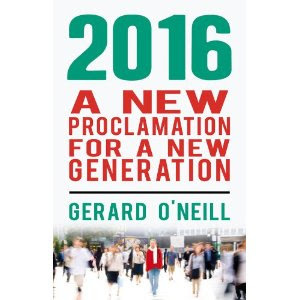 The majority expect it will be 2011 and later. One in ten don't think finance availability will ever return to 2007 levels. I'm with the one in ten: a proportion I think will grow when, inevitably, eurozone interest rates start going up at precisely the wrong time for growth-minded Irish SMEs. I wonder could we make it just 2 or 3 C's for borrowers on the basis of, er, the long term economic value of small businesses to the economy? I doubt it somehow. 1. Small business people are extremely busy. They often perform several jobs. They don't have the time to monitor the use of their credit every other day or even on a weekly basis. 2. Small business people are more likely to be attacked because they are always buying products or doing something that involves the exchange of financial information. Regulations need to keep up with the times and protect customers, whether they are large or small.